Go to the link for the event you are interested in registering for on Our Upcoming Events Page to reserve your spot. Does the price include camping? Your rally fee DOES NOT include camping. Please make your camping arrangements directly with the campground hosting the event. This information and their phone number will be listed on your Event Registration Page. What Utilities are Included on my site? Please consult the campground directly regarding available utilities. Are Cabins, RV Rentals and Tent sites available? 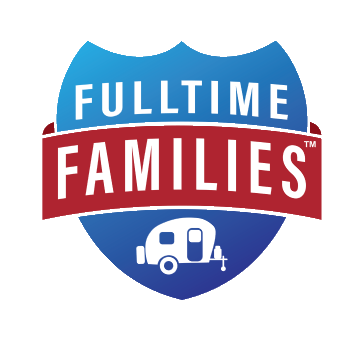 Most of our Fulltime Families Rally host campgrounds offer alternative accommodations. Consult the campground regarding these options. What happens after I reserve my spot? 24 – 48 hours after we receive a notification from Paypal, you will get an email from Fulltime Families with additional registration instructions. This will be sent to your Paypal Email Address. Upon completion of the form, you will be added to the dedicated Facebook account for this event. I’m a current Annual Member and I’d like to upgrade to a Lifetime Member. How do I do that? Current Annual Members who are interested in upgrading to the Lifetime Membership option and receiving a one time $50 rally credit can email Jill directly. What will we be doing at this “rally”? 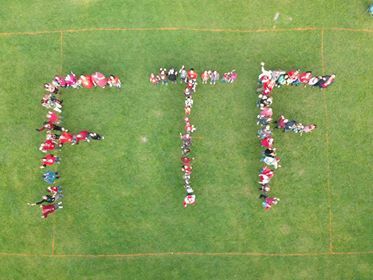 Fulltime Families Rallies are 4 to 7 day family friendly events full of fun and fellowship (that’s a lot of f’s;). Schedules include a variety of family game times, arts and crafts, educational opportunities, seminars, campfires, socials, and big time fun! What’s Included in my Rally Fee? Your rally fee pays for all the supplies, staff, rental fees, event insurance and administrative costs required to host the event. Who can attend a Fulltime Families Rally? 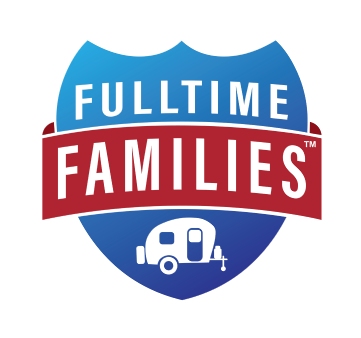 Fulltime RVing Families, Part-Time RVing Families, Weekend Warrior Families and Dreamers are all encouraged to attend Fulltime Families Rallies! We offer both FtF Member and Non-Member Rates as well as a limited number of day passes. Not a member yet? Join Now! Are there opportunities to Volunteer at this event? Absolutely, Volunteers are the life blood of Rally events. To be connected to the organizers group and find opportunities, you send an email to [email protected]. We also have a Volunteer Board posted during the event. Some activities will include corporate meals (pot luck), other times you will be eating on your own. It’s best to go food shopping and plan quick and easy meals while you are attending the rally, as you won’t want to miss a minute of the fun! Do families Roadschool during the rally? While there are many educational elements on the rally schedule, with so many kids and so many fun things to do, doing school during your time at the rally may be challenging. Many families suspend their studies during rally time. How can I prepare my children for this event? Rally is a fun time, but it can also be overwhelming for new attendees. It’s a good idea to review the schedule with your family so you can mark off activities you don’t want to miss. Please refer to the Registration Page for your event for cancellation dates and policies.